I wrote in my last post that I was going to meet with the dutch luthier John J. van Gool, and that I have. 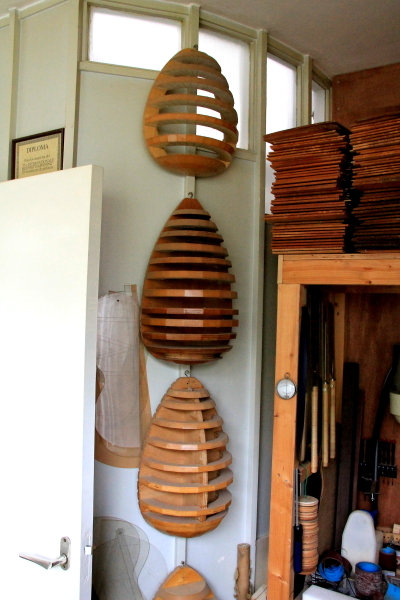 Mr van Gool lives in the city of Delft, about 15km from Rotterdam in a nice little home where he also has his workshop. 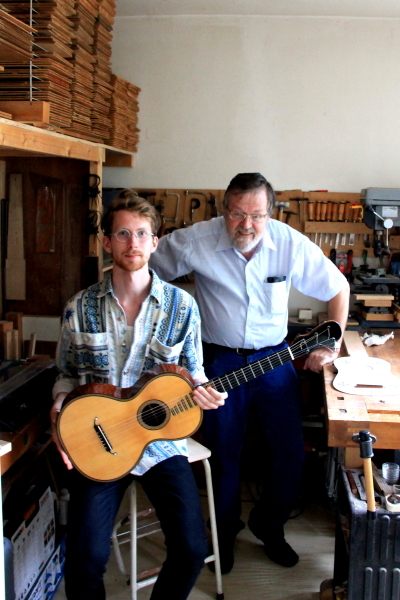 He’s been making guitars since the late 70’s, and early musical instruments for about 20 years now. The guitar I tried out is an early romantic guitar built after a guitar from around 1800. The builder of that guitar is unknown, but it resembles the Lacote “1823 model”, or the Grobert guitar Paganini is said to have signed. 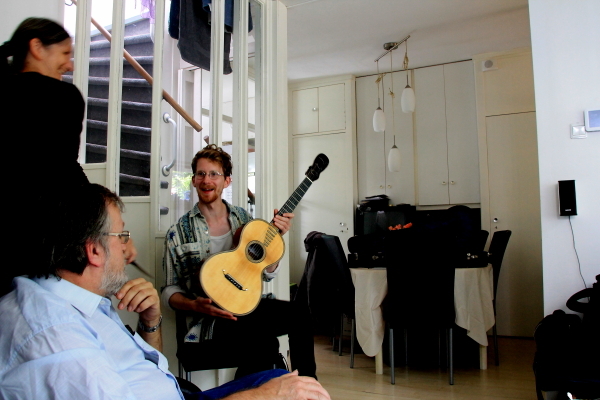 Mr van Gool also showed me a lot of his earlier projects, such as a baroque guitar with a beautiful 3D rosette. Unfortunately I didn’t take any photo of the guitar. 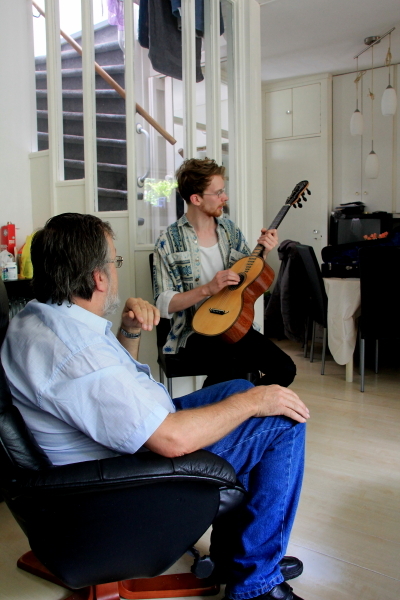 And he also talked and explained to me a bit around the work on rosettes and inlays on the lid of a vihuela he is making at the moment. All in all it was very pleasant and I had a good time. Of course it ended up with me purchasing the guitar, and I recommend others who are interested to take contact with Mr van Gool.